We have moved to our new a bigger HQ in 2013. Total area is 4000 sq. feet. Thank you for your support. Credits to the Chief Architect, BP02-Yusof. Here I hope you can find out more about KKInstruments. This brief intro was written in 2005 when the company just started. Nothing has been changed. This profile has been keeping us in focus and give us the right spirit. Here consists of some of the goods that have been ordered by our clients. 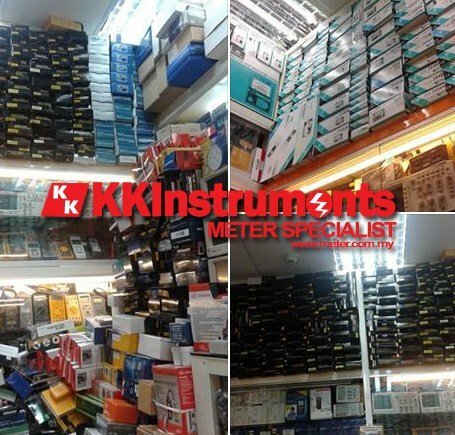 It is always safe to buy from KKInstruments. Real stocks. Real shops. You will feel more confident after seeing the photos. This is a brief explaination how KKI works. We make sure your information is secured. All your private/purchases information are kept in our highly secured server using the latest Intel Xeon chip. With a reliable server,it will be much easier for our clients to claim warranty later.